Our product range includes a wide range of fire buckets. A fire sand bucket or fire bucket is a steel buckets filled with sand which is used to put out fires. 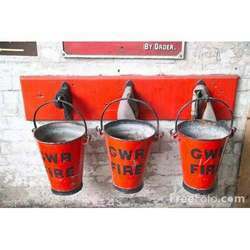 Typically, fire buckets are painted bright red and have the word 'fire' stenciled on them in white lettering. Looking for Fire Buckets ?